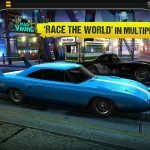 Natural Motion Games’ CSR Classics (Android, iOS) is the racing game for you if you love ‘60s and ‘70s muscle cars, or anything high-performance from the years gone by. You can get to race cars such as the Chevrolet Camaro, Ford GT40, Shelby Mustang GT500, and other examples of classic American muscle, but you’ve also got European cars such as the Mercedes 300 SL available in the game. You can race against the computer AI or compete against other humans in multiplayer mode, as you unlock more cars and win more prizes. 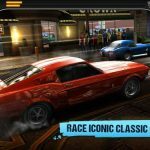 Winning races in this game may be easy at first, but if you want to gain a crucial edge over your opponent, may it be AI or human, we suggest you to take a look at our collection of CSR Classics cheats and tips. Like in other racing games, there is such a thing as a Perfect Start in CSR Classics. You’ll be able to get this down pat with a bit of practice, but it basically goes like this – hit on the gas slightly and ensure that the needle on your speedometer is within the area that would allow your car’s green light to blink. Leave your foot (or should we say, your finger) on the gas to make sure the needle stays in the green light area and voila – you’ve got a Perfect Start. Making use of the nitrous oxide is a time-tested way to get off to a fast and flying start. We emphasize this because it’s best to use nitro early in the race, as that’s going to help you reach quarter-mile speed quicker. Remember your car’s performance stats when timing your nitro boosts. Use it late and your top speed may get a boost, but use it early in most cases as it’s better to be in the lead early than to play catch-up later on. If you want to earn more cash and do so faster, you should take part in every ladder race in every tier available. 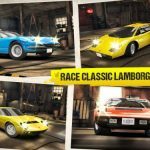 By completing these races from starting to final race, you’ll earn ridiculous amounts of cash; just make sure to complete your current tier before moving on to the next one. In most instances, you should shift at the moment the light turns green. But there are some cars where the tires spin during the shift from first to second gear each time, even if your tires are fully leveled up. This would require you to shift once you’ve hit the last red light, as opposed to the green light. While you won’t earn any Perfect Shift bonuses, your tires and wheels won’t be spinning as much, which will be of more help when you’re racing. Yes, here we go again – we’re talking about the benefits of connecting your game to social media. But by connecting your game to Facebook and/or Twitter, you can get a bonus of 30 gold you can use in the game, as well as cash bonuses whenever you share your wins and level-up moments. 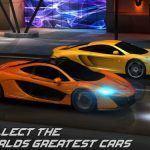 Want some tips on how to earn more cash and win more races in the game? Check out our advanced tips and tricks for CSR Classics, right here.